Off The Cuff features the classic L.L. Bean Tote in today's post. 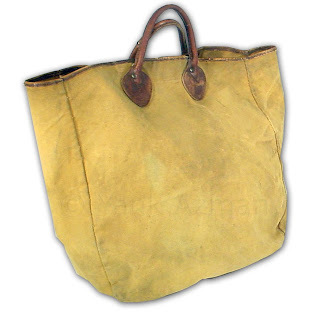 We have an old Bean canvas tote in the vintageluggage.com hoard as well. While it's not the same, it is a Bean canvas tote, probably from the 1920s or '30s.